DNA Chip libraries The highly parallel synthesis of oligonucleotides lept forward from 96 in 1992 in 2004 to thousands in 2004 via photo-deprotection of the 5' ends and later ink-jet and elctrolytic methods. This has enabled libraries of RNAi, CRISPR, and digital data storage. Relevant companies: Gen9bio, Agilent Technologies. 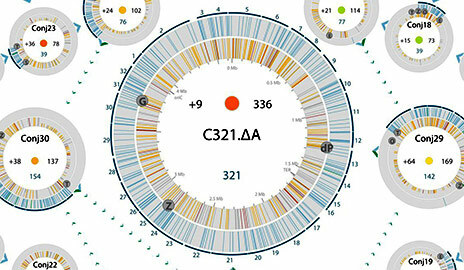 2013 Causes and effects of N-terminal codon bias in bacterial genes. Science. 2013 Composability of regulatory sequences controlling transcription and translation in E. coli. PNAS. 2010 A Scalable Gene Synthesis Platform Using High-Fidelity DNA Microchips. Nature Biotech. 2004 Accurate Multiplex Gene Synthesis from Programmable DNA Chips. Nature.